BINTANGNEWS.com – The Indonesian government and people have expressed their support for Palestinian President Mahmoud Abbas, who will deliver a speech on the struggle for independence and the Palestinian situation at the UN General Assembly in New York on Sept 27, 2018. Chairman of the Indonesia-Palestinian Friendship Initiative, Din Syamsuddin said interfaith movements and groups in Indonesia have provided support and expressed a sense of solidarity with Palestine and its citizens to achieve the ideals of independence of a Palestinian state. The statement was conveyed by Din at the Palestinian Embassy in Jakarta along with representatives from religious organizations and Indonesian non-governmental organizations. On that occasion, he invited all citizens and elements of the Indonesian nation to provide support to Abbas, who would convey the aspirations of the Palestinian people at the UN General Assembly Session. 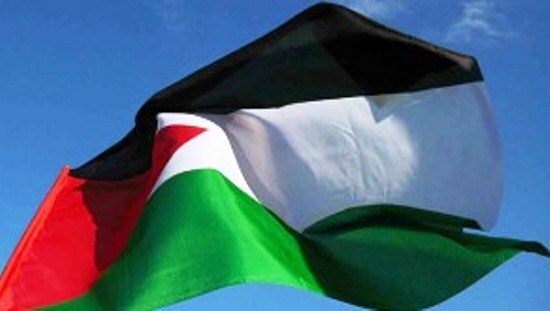 "We want to convey the support, as stated by the Palestinian Ambassador. We call on Abbas to walk with faith and be confident about his steps. We also urge him to fight continuously in order to achieve Palestinian Independence," Din remarked on Monday. According to him, the current situation in Palestine is a form of real global injustice that leads to world problems. For this reason, the Indonesian government and people have urged the UN to resolve the Palestinian issues. "Do not allow the decision of any country to disrupt the peace process, including the process of transferring the Israeli capital to Jerusalem," he explained. Din added that the Indonesian people continue to support and hope for the realization of an independent Palestine with East Jerusalem as the capital of the country. Support from Indonesia for Palestine was also conveyed by the Director of the Middle East Regional Ministry of Foreign Affairs Sunarko, as a representative of the Indonesian government, at the event at the Palestinian Embassy.